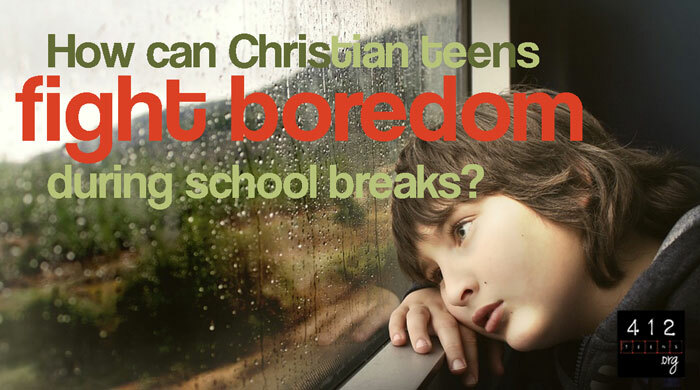 How can I fight boredom in a godly way? When we turn away from sinful activities we used to do, sometimes it's hard to figure out what we can do now. We have to discover what we enjoy doing all over again, minus those things we know aren't good for us. 2 Corinthians 5:17 tells us that "if anyone is in Christ, he is a new creation. The old has passed away; behold, the new has come." We no longer have to choose sin; we can choose to live life in a godly way. But then, in an effort to be a "good Christian," we often get hung up on figuring out what's a sin and what isn't. We know some of the things we used to do are wrong, but what can we do now? Our self-induced guilt combines with the basic knowledge that we shouldn't sin, and we get stuck. Making godly choices can be confusing—especially for a young believer! One of the top kinds of questions we receive at 412teens.org is whether or not _____ is a sin, so know that you are not alone! Does all of this sound familiar? Have you ever gotten caught in the trap of wondering whether or not something you want to do is sinful? Is playing baseball sinful? Is getting a pedicure sinful? Is doing a Netflix marathon with your best friend sinful? So many things to worry about, right? I love reading, but when I first became a Christian, I'd decided that I wasn't allowed to read anything but the Bible. I was worried that the books I used to read were not OK anymore. Over time, I realized that there were still lots of books other than the Bible that I could read for fun and entertainment. Yes, some novels have themes I avoid, but there are plenty of authors who have written stories that aren't going to corrupt readers and even give good life lessons I can learn from. 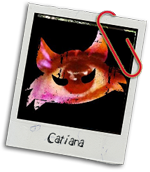 The key is discerning what is good and beneficial and what is corruptive (1 Corinthians 10:23). Whether you enjoy the outdoors, creating art, socializing with friends at the mall, cooking with your family, or whatever, we can give you one suggestion that can benefit all Christians across the board. For anybody who has nothing to do in the summer, over winter break, or any other time, here's what you can do: SERVE OTHERS. Mark 10:45 says, "For even the Son of Man did not come to be served, but to serve, and to give His life a ransom for many." When we give Jesus His rightful place as the Lord of our lives, His loving lordship will come out in the way we serve others (Mark 9:35; 1 Peter 4:10; John 15:12-13). One of the ways our love for God is shown in our lives is by how we show love to others. “For what we preach is not ourselves, but Jesus Christ as Lord, with ourselves as your servants for Jesus’ sake” (2 Corinthians 4:5). We show love by serving others, which is the same as serving Christ (Colossians 3:23-24). If we want to be great in God’s kingdom, we must become a servant to everyone (Matthew 20:26). When we love God, our hearts are changed and that ends up as a benefit of love to others. Look around your community, family, neighborhood, school, church, etc. and try to find opportunities to serve others. It doesn't have to be a homeless shelter, food bank, or anything formal (though it could be!). It might be just mowing the lawn, shoveling snow, or walking a dog for an elderly neighbor; offering free babysitting for a single mother in your community; offering to help a friend with their own projects; or doing some free housecleaning for a nearby relative. If you have access to transportation, you can probably find a lot of churches or other service-related organizations that have opportunities to serve the community. Help in VBS. Volunteer at the food bank. Organize things at a local charity thrift store. Read books to the kids at your local library. Google search and see what sounds fun to you! Avoid things which create distance between you and God—activities that the Bible is very clear about. If you're unsure, check your motives (and the activity) against biblical principles. If you're still stuck, we have one suggestion for you: SERVE OTHERS. One of the ways our love for God is shown in our lives is by how we show love to others (2 Corinthians 4:5). We show love by serving others, which is the same as serving Christ (Colossians 3:23-24).